Perhaps you were one of the naysayers that was left scratching your head upon hearing that Pretty Woman would take the stage on the Great White Way, unsure of what to expect. The story of a wealthy businessman who hires a prostitute to accompany him to social events, only to fall in love with her, may not seem like your typical Broadway sing-along material. And yet, thanks to a wildly talented cast and brand new original score by Bryan Adams (yes, Bryan Adams of "Summer of ’69" fame), what you can expect is to be thoroughly entertained. 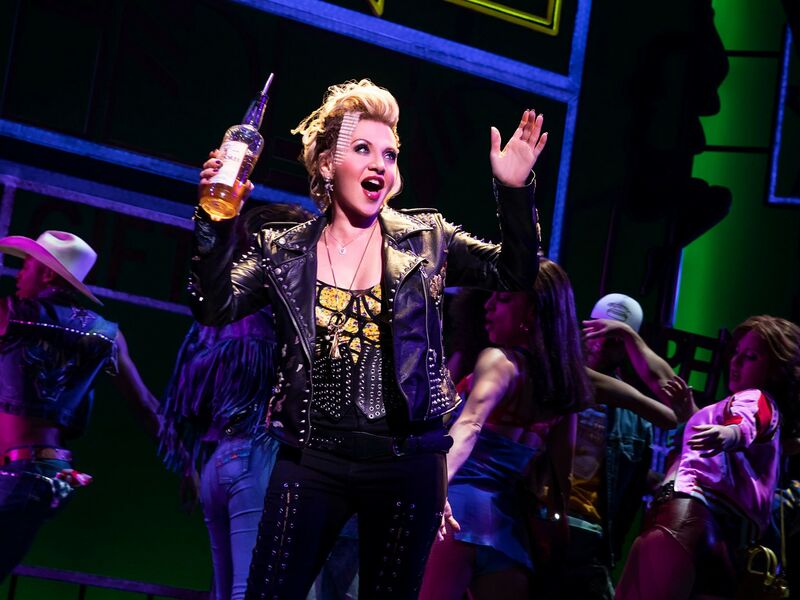 A big part of the winning formula is Tony nominee Orfeh, who plays the sassy, wisecracking Kit De Luca—with a voice for days. We chatted with Orfeh to discuss what makes Pretty Woman: The Musical so special, working on stage with her husband, Andy Karl, and meeting the original Pretty Woman, Julia Roberts. How has the experience of playing Kit De Luca on Broadway been so far? ORFEH: I’m having a really good time. I’ve been with it since the actual first time this was done in New York, going on two and a half years ago at this point, and it was one act. Garry Marshall was still with us. So I’ve been with it a long, long time. And Jerry Mitchell, basically, when he signed on, he was like “There’s one person that has to play Kit, and that’s the end of the story.” And basically, he gifted me this role. So that was very wonderful. Somewhere along the way, Andy joined the company [as Edward Lewis]. What was already great got a big ladle of gravy on top of it and it just became an even better experience. What do you love most about playing Kit? O: I love everything about playing Kit. I think it’s just a really fun role. I get to do a lot of what it is that I do. They let me be me in this. And I don’t mean me, Orfeh, but the things that I like to do in a musical. They were very kind to expand the role. She’s the most expanded from the movie. And I don’t know that that was so much for me as the fact that I think that was one of the things that people wanted as far as the film was concerned. They wanted more of Kit. I think that’s why people are reacting so well to the character, because everything they didn’t get to find out or couldn’t get enough of from the film, they get here. It’s a very well-rounded experience with her. How do you live up to the film, which is so iconic, yet bring something new to the story? O: Well I think they did a big service to it by bringing an original score to it. I think that was a big deal and that makes it different. Because you can see Pretty Woman on TV basically every night. So I think that it makes a big difference that you’re coming and you’re not going to hear—and listen, it’s one of the best soundtracks of all time, it sold a gillion copies—but you’re not coming to the show and getting “King of Wishful Thinking” or “Must Have Been Love.” You’re coming and getting an entirely original score by one of the biggest rock stars in the universe. So I think that’s a big service to it. I think Andy Karl playing a romantic lead is something that people have been waiting for for a long time. You know, he’s not getting beat up and changing his clothes 50 times. I think Samantha Barks is a great find and a discovery. I think Eric Anderson getting to do all of his tricks and bells and whistles is a big deal. I think they really cast it well. That’s what people are connecting to, is the cast. How has it been working with your husband, Andy Karl, on stage? What’s that like? O: Well, it’s funny, because Andy and I have worked together a lot. This is actually the first time we’ve worked together where we don’t have any stage time together whatsoever. We’re two ships passing in the night. I think I look over my shoulder at the top of act one and see him once. And then we bow next to each other, and that’s about it. It is wonderful to be on the same schedule, because unless he and I are in the same show, which happens occasionally, we don’t see each other. A Broadway schedule is grueling. So it’s wonderful. I can’t say enough good things about it. For a married couple, we really love working together! How would you describe the show in 3 words? O: Surprising, uplifting, campy as hell. And that’s what makes it a great Broadway musical! O: Yeah, it is so not what you expect when you walk into the door. And I think that judging from, I’d say 99% of the audiences we’ve had, and we’re going on—not counting Chicago previews—we’re going on 100 shows. 99 out of those 100 shows people have been up on their feet, beaming. They’re not just even smiling, they’re beaming! So I don’t think there’s any crime in leaving people in a musical with smiles on their faces. O: Julia Roberts coming to the show. That was pretty cool, getting to meet one of the biggest movie stars on the planet. And then she winds up being as glorious and as luminous as you’d ever wish she would be. So that was really fun. And she spent a lot of time. She spoke to each cast member individually. I mean, it was the stuff of dreams! She treated us all like she knew us. It was wonderful. In a litany of memorable moments, she tops the list. O: That love does cross all boundaries. All of them. It doesn’t matter where you come from, it doesn’t matter what you do. It doesn’t matter who you were, or who you are. When love is the defining thing, you’re going to make it work and you’re going to move mountains. You’re going to get there. You have such an incredible voice. How do you maintain your voice during a show’s run? O: It’s not easy. I’m very lucky. Twice in my career, the songs have kind of been tailored to my specific set of chops. This and The Great American Trailer Park were really, I don’t want to say easy things, because there’s no such thing as a live easy thing, but they were tailored to my skill set. And I got very lucky then and I got very lucky now. But you literally have to walk around as if you’re working in a hospital. You have to be meticulous, you have to be a germaphobe. I’m almost offensively a germaphobe and my cast and my crew understand that about me. You can’t go out and party. I don’t smoke, I don’t drink, so that’s already inherently easy for me. But it is a second full time job staying healthy to do eight shows a week. I certainly don’t have the heavy load that Andy and Samantha have. They’re singing 58,000 songs per show! In comparison to them, I have a pretty sweet deal. But you have to maintain and preserve your physical health like it’s literally part of your job. And it never gets easier, especially in these winter months, when the weather goes from 80 degrees to 30 degrees in two days—you’re screwed basically. It ain’t easy, my friend! Where do you go to unwind in NYC in your downtime? Any favorite spots? O: I have a lot of favorite restaurants. I have a lot of favorite things to do. And the way that Andy and I kind of completely disconnect from everything, is we go to the movies. We go to one of those new fancy iPic theaters, kick our feet up and just hide in the dark for two and a half hours. And if the movie’s great, then that’s an added bonus! Any recent films you would recommend? O: The new Halloween was great. We all went as a cast, we had the best time. It was just fantastic. It was like the family outing. It was great. 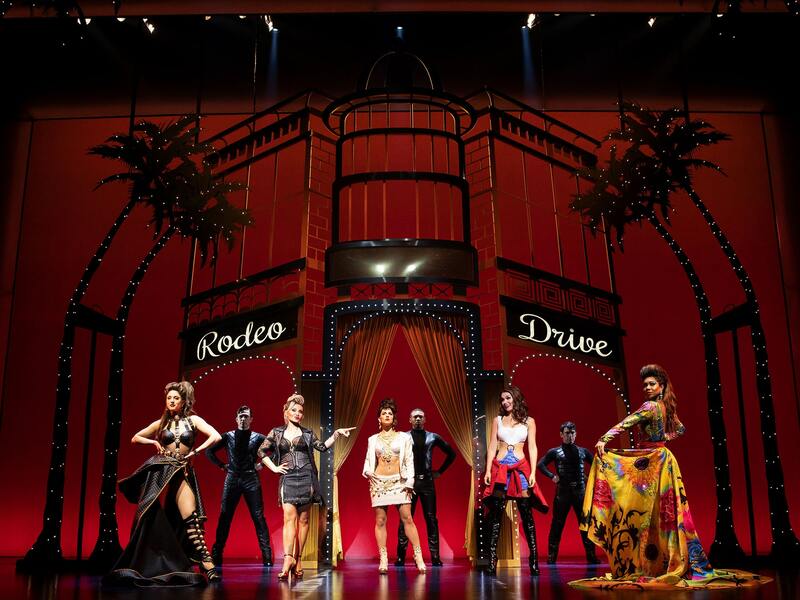 Pretty Woman: The Musical is currently on Broadway at the Nederlander Theatre, 208 W. 41st St. Click here to purchase tickets through June 2019.